Our sweet friend Kim Miller has been diagnosed with two brain tumors. We will be posting the latest health updates on Kim's CaringBridge page. 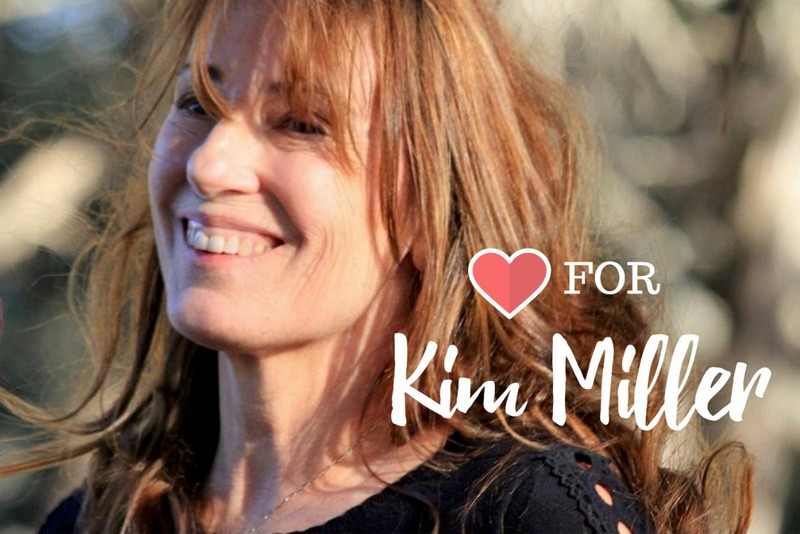 The CaringBridge site is also a great place to leave messages of love and support for Kim. The good news: Kim has good health insurance. The bad news: while she is recovering, Kim has no income to pay the rest of her medical bills and to cover her day-to-day living expenses. With this kind of brain surgery, the future is uncertain. We are staying positive and hoping for the best. Kim’s needs will become clearer as her recovery progresses. In any event, the goal of this page is to provide her with enough immediate funds to allow her to focus on her health now, instead of her finances. Please contribute what you can and help us spread the word. 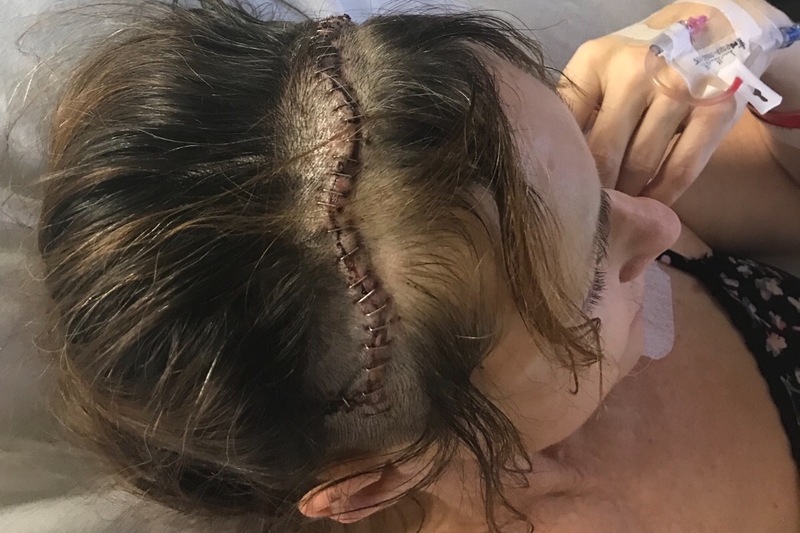 Two months ago I had brain surgery. I came home to heal with the Herculean notion I was walking away with a wicked scar and a bad hairdo. Turns out, I’m still on the trail. Unfortunately, my tumors were not benign. I start radiation therapy this week. The good news is, the treatments will give me time. It may be no fun for a few months, but there will be time ahead for more music, exploring coral reefs, thought-provoking conversations, and your good company. I’ll take it! I’m honored by you. The silver linings of this ordeal are the lessons learned by your goodwill. Your kindness has taught me kindness. Your generosity has altered me and given me the peace of heart and mind I need for whatever lies ahead. So many of you have reached out asking how to help. I’ve been blessed to have close friends with me every day to get me where I need to go for my medical treatments and to stay with me while I have been and will be unable to drive. Several of you have been kind to get me out in the world and brighten my days. Thanks to all of you who have taken me to concerts, to get a pedicure, out for meal, and visited to share your songs. Perhaps my most important discovery is this—we are never alone. I’m humbled throughout this journey with you. Kim wanted me to share this picture. That's one wicked scar! "She’s out! It went incredibly well!!! The surgeon is very optimistic about her recovery!!! Such great news!" Hi guys. This is Grace Pettis posting. I'm just leaving the hospital and Kim asked me to let you know that she's unable right now to keep up with texts and Facebook message conversations. She has a lot going on with getting ready for surgery tomorrow. We did read through some of the messages here on the gofundme page, so this is a great place to share a short message with her, so that everybody's comments are in one place and easy to read. Kim is in very high spirits today. She is so moved by her friends showing up for her in so many ways. It's a wonderful thing to send her into surgery knowing she is surrounded by love and support.